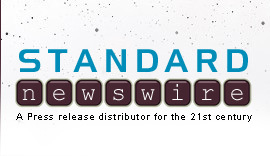 CHARLOTTE, N.C., July 11, 2018 /Standard Newswire/ -- Amid the national controversy over historical monuments, sculptor Peter Rubino is purpose-driven to bring people closer to Jesus through art. 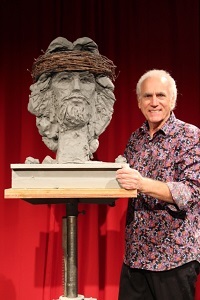 Organizations can employ Rubino's divinely-inspired, live "Passion In Clay" speed sculpting presentation of Jesus and acquire his life-size contemporary statue of Christ with opened arms, titled "Prince Of Peace." After an illustrious career of commissioned works around the world, Rubino now focuses on the Great Commission. "My performance is a unique, 15-minute, three-dimensional story of our Savior," says Rubino. "I hope people have a spiritually-enriching experience watching my art-in-action process and by the end of the performance are moved closer to Him." Rubino choreographs the energetic presentation to Christian music. The audience witnesses the master sculptor form a 200-pound clay bust of Jesus moving swiftly around the piece, revealing multiple phases of Christ's life in perfect timing, with a dramatic crescendo. A Navy Veteran, Rubino emerged from the Vietnam War moved to create sculptural expressions of love and peace. Examples are "Earth," a bronze bust of the Suffering Savior; and "Mother of All Life," a 12-foot bronze monument gracing the Boyko Research Center in the Holy Land. His patriotic sculpture "Remembrance," honors America's Fallen Heroes and Gold Star Families. "Passion in Clay" is suited for varied forums, including fundraisers, pastor conferences, leadership retreats, Vacation Bible Schools, and other events seeking creative inspiration. "Thanks to Peter for bringing his talent to our True Homes Christmas party," says Dan Horner, Founding Partner, True Homes USA. "As I observed our associates during the performance, they were mesmerized. The portrait of Jesus resides in our office as a daily reminder of the wonderful evening we had together." Peter Rubino teaches sculpture workshops throughout the U.S. and Italy. He authored "The Portrait in Clay" and "Sculpting the Figure in Clay," currently translated in five languages. Rubino has created busts of President Obama, jazz icon Dave Brubeck, baseball legends Babe Ruth and Ty Cobb, to name a few. Rubino also created a 35-foot monumental statue "Archangel" for the Walt Disney Company. Visit www.passioninclay.com to watch a 90-second promotional video clip of "Passion In Clay" and view the "Prince Of Peace" statue.